✅ (As featured on TV -Channel 7 News) Internationally Award Winning & Made in Australia, the drug-free handheld device is used as a treatment and preventative for the following medical conditions: Asthma, Atelectasis, Bronchiectasis, Chronic Obstructive Pulmonary Disease (COPD) - Emphysema and Chronic Bronchitis, Cystic Fibrosis, Emphysema and many more respiratory conditions. ✅ The Oscillating Positive Expiratory Pressure (OPEP) helps loosen the bond of the mucus to the airway walls through vibration, while the positive pressure helps push the mucus up and out of the body, helping the body's natural mucus clearance process. ✅ This device is quick and easy to use, with most people only needing 5-10 minutes, 1-2 times per day. 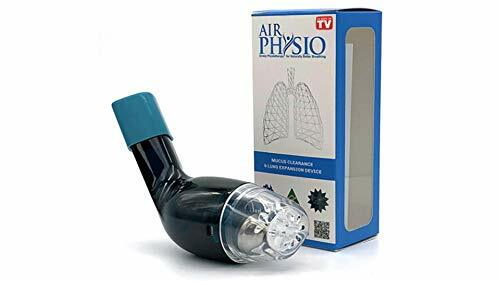 If you have any questions about this product by AirPhysio, contact us by completing and submitting the form below. If you are looking for a specif part number, please include it with your message.